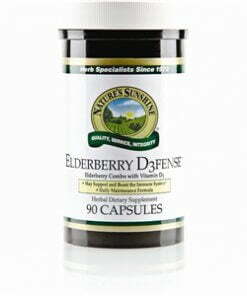 Nature’s Sunshine Elderberry D3fense nourishes the immune system with the immune-supporting elderberry and vitamin D3, in addition to other herbs. Particularly during seasons when sun exposure is lacking, supplementing vitamin D is crucial to immune health. 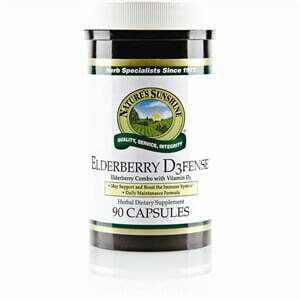 Elderberry D3fense also includes Echinacea purpurea, willow bark extract, olive leaf extract, and royal jelly which provide a healthy array of nutrients. Take 3 capsules daily.